Rev. Dr. Stephen Sprinkle speaking to a rally at the University of Toledo (Toledo Blade Photo). The Republic reports that Sprinkle was invited to speak at a rally sponsored by Equality Toledo in response to the so-called “billboard wars” over LGBTQ acceptance in the Toledo church community. 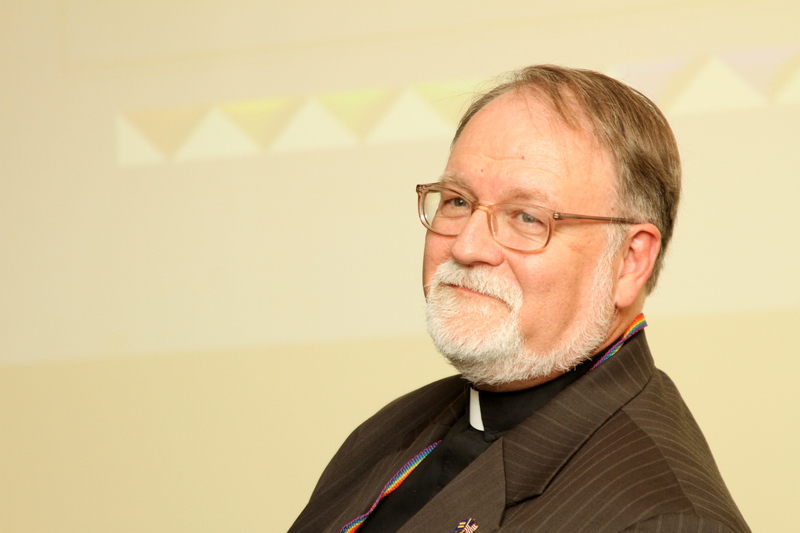 A progressive United Methodist congregation put up a large billboard on a well-traveled street in April proclaiming that “Gays Are a Gift From God.” An evangelical mega church responded by buying up space on nine huge billboards around the city rebutting the Methodist claim with the slogan “Gays Are NOT a Gift From God.” Sprinkle, a professor at Brite Divinity School in Fort Worth, and Theologian in Residence at Cathedral of Hope United Church of Christ, the largest LGBTQ predominant congregation in the world located in Dallas, is a widely-sought speaker and teacher. 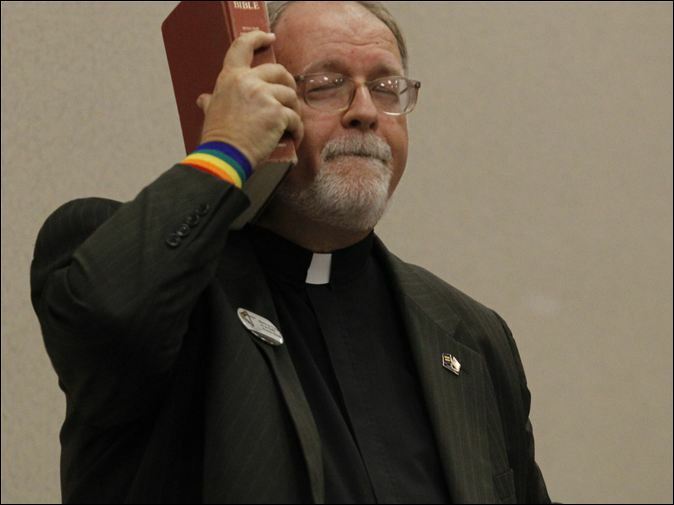 His most recent book, Unfinished Lives: Reviving the Memories of LGBTQ Hate Crimes Victims (Resource Publications, 2011), is an anthology of stories of people murdered for their sexual orientation and gender identity, most of whom were killed by people who claimed justification from the Bible and church teachings. He is the founder of the Unfinished Lives Project, and the web master of http://unfinishedlivesblog.com, a blog seeking to remember the victims of hate crimes violence in the United States.